Patrick took his first Agatsu Kettlebell certification in 2013. 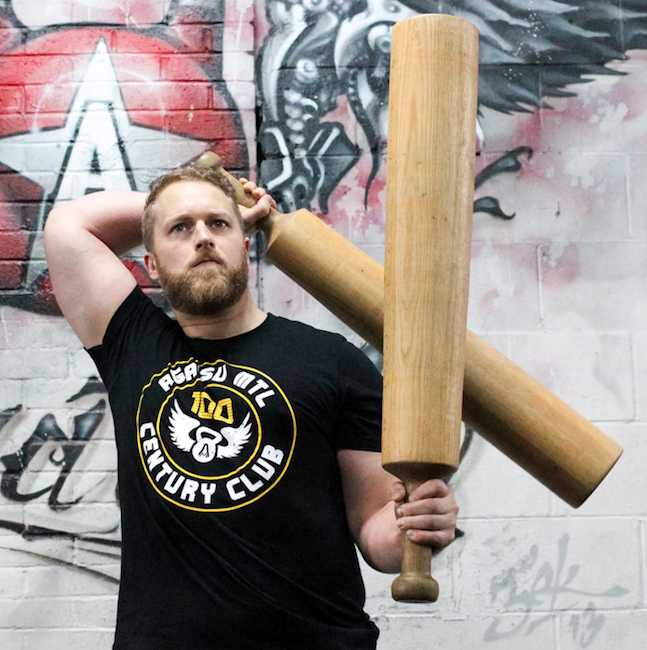 He has since completed a degree in Physical Education from McGill, become a level 2 Agatsu Movement and Mobility instructor and is an Agatsu Senior Mace and Indian Club Instructor. Patrick draws his inspiration from helping people transform their lives and become their baddest (and best) selves. He has always viewed exercise as a means to enhance all aspects of a persons life, enriching ones mental, physical, emotional and spiritual well being. Patrick has trained and competed in both mace competition and kettlebell sport. He is also a longtime martial arts practitioner, having attained a black belt in Hun Gar Kung Fu, and now practises both Kali and Brazillian Jiu Jitsu. His martial arts background has helped to form his mastery focus mindset, which is focused not on quick results, but rather striving for continual growth and consistent effort as a path to success. Patrick is a family man through and through and lives for his family and community. He has a wonderful wife Tara and a future olympian 1 year old son named Luca who Patrick often refers to as his “mini-me”. He is immensely proud of his Swiss heritage and his Agatsu Family.